LONDON, September 16. /TASS/. 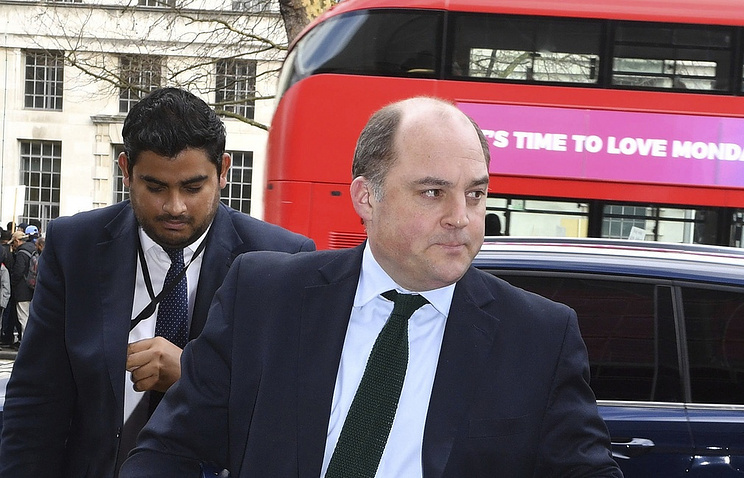 The United Kingdom's so-called Magnitsky amendment, aimed at sanctioning Russia for its alleged role in the Salisbury incident, will not come into force until after Brexit, the Daily Telegraph cited Minister of State for Security at the Home Office Ben Wallace as saying. The Magnitsky amendment, which mirrors a similar legislative act in the United States, was adopted by the UK Parliament in May. According to Wallace, it would not be introduced until "after Brexit," because the document is part of the Sanctions Act, which constructs an entirely new regime of sanctions that will start operating when the country leaves the EU. Governmental officials declined to specify when exactly the Magnitsky Amendment will take effect, because the formal date of Brexit (March 29, 2019) will be followed by a transitional period to continue until December 31, 2020. Therefore, the practical use of this mechanism of sanctions could be postponed for a period of up to two years. The British variant of the Magnitsky Amendment is largely similar to its US counterpart, which stipulates asset freezes and entry bans for foreign officials, accused of corruption and human rights violations. According to the document, the names of those officials would be made public. The Sergei Magnitsky Rule of Law Accountability Act was passed by the US Congress and signed by then-President Barack Obama in December 2012. The law particularly specified sanctions against a number of Russian officials, including law enforcement officers, believed by Washington to have played a role in the death of Sergei Magnitsky, an auditor at the Hermitage Capital Management company, who died in a Moscow detention center in November 2009. The act envisages sanctioning Russian officials whom the US considers to be responsible for human rights violations. It particularly allows the US government to freeze assets and ban visas for officials. Russia views the Magnitsky Act as interference into its domestic affairs. The Russian Foreign Ministry described the document as "unfriendly" and "provocative." Russian-UK relations seriously deteriorated after the Salisbury incident. On March 4, former Russian intelligence officer and convicted British spy Sergei Skripal and his daughter Yulia were allegedly poisoned with a nerve agent, according to British investigators. Later on, London stated that this agent had been developed in Russia and blamed Moscow for being behind the incident based on this assumption. Moscow refuted all accusations, saying that neither the Soviet Union, nor Russia had any programs for developing this agent. Experts from the British chemical laboratory in Porton Down failed to identify the origin of the agent that poisoned the Skripals. On September 5, British Prime Minister Theresa May informed the British parliament about findings of the investigation into the Salisbury incident, stating that two Russians, whom British intelligence services consider to be Main Intelligence Directorate agents, are suspected of the attempted murder of the Skripals.